General Motors wants you to use your phone in the car. No, really. And it's got a way for you to do so more easily. With the addition of MyLink system, using your Android smartphone in a vehicle has never been better -- and that means safer, as well. A little background: We spent a couple quality days several weeks ago at GM's proving grounds in Milford, Mich. (Full disclosure: We were there on GM's dime.) 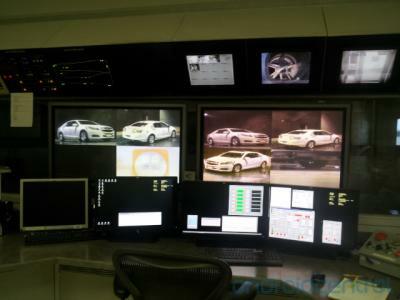 On the agenda: A look at the 2013 Chevrolet Malibu and, more important, its new Chevy MyLink "infotainment" system, which integrates damn near perfectly with Android. Plus, more from OnStar, and some eye candy in GM's wind tunnel and a quick spin around a test track, plus a test drive of a Chevy Volt. But it was the 2013 Malibu and MyLink -- and the apps -- that were the stars of the show. Yes, the apps. Apps in the car, and apps on your phone. We explain after the break. Let's start with the obvious here. You shouldn't really be using your phone while driving. But that's kind of the point with Chevy's MyLink system. It's an interesting mix of hardware and software, on the car as well as on your phone. At its most basic, MyLink is your in-dash nav and entertainment system. 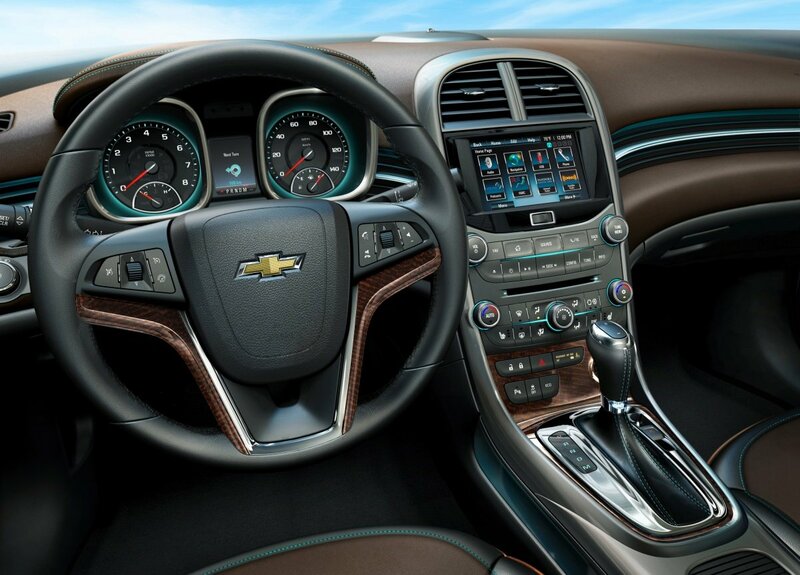 The Malibu pairs it with a 7-inch touchscreen. If you've ever longed for a tablet-sized display in your car, here you go. You'll pair your Android smartphone to the car via Bluetooth. Nothing new there, and pairing your device (at least in the test vehicle we saw) was as easy as it should be, just a couple levels down in MyLink's menu. So your phone is paired to the car, and you can make calls with voice dial and the controls on the steering wheel. Nice, but not new. It's the apps that have us interested, and Chevy's starting with a couple on Android (though we only got to see one in action). You're no doubt familiar with Pandora -- the Internet streaming music app. 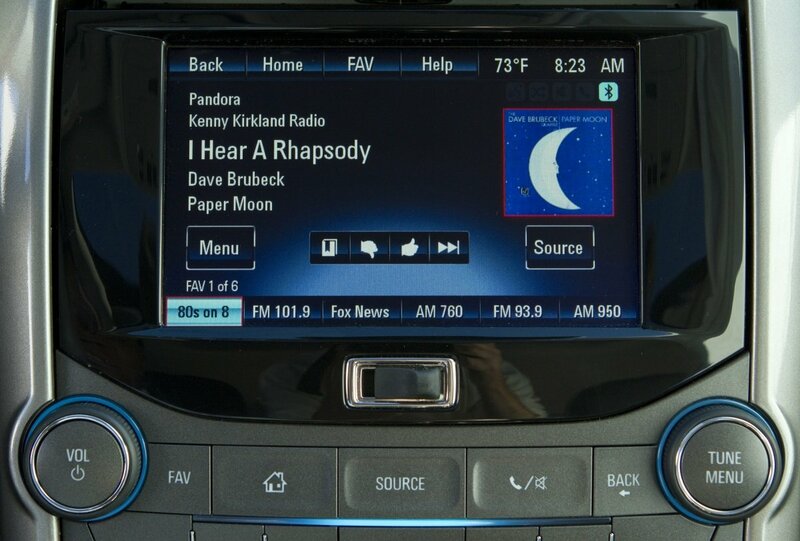 And you've no doubt wondered how great it would be to have Pandora in your car. With MyLink, you can. It's actually a really cool marriage of phone and car. With your phone connected to the car via Bluetooth, it seamlessly streams Pandora's music through the car's speakers, and you control the app from the Malibu's 7-inch touchscreen -- or via the hands-free voice controls. You can even give a thumbs up or thumbs down to a track, so you've got a true Pandora experience, in your car, via your Android smartphone. About the only thing you can't do is create a new station via the voice command. So you're running Pandora on your phone, connected to (and controlling) a Pandora app in the car. And it's an actual, honest-to-goodness app in the car. You're not just controlling the phone via Bluetooth, the phone's and car's apps really are working together. That raises a couple of questions, of course. One is battery life. Obviously if you're pulling down a constant stream of data, you'll be chugging through some battery. The good news is that charging options are more numerous -- and more elegant -- in newer cars, and even more exciting options will present themselves in the coming months. Another question is one of data connectivity. While you're always at the mercy of your network, Pandora assured us that the app isn't as data heavy as you might think. Let's go a step further into the future. While the car manufacturers obviously have a deal with other mapping companies, imagine the prospect of bringing something like Google Maps to a 7-inch display in your vehicle. That's not to say you don't have that same functionality in many in-dash systems now -- turn-by-turn navigation, traffic info, etc. -- but put the Google name behind it, and you know that you're getting the best (and most up-to-date) search answers. Or maybe (and apologies to Pandora here) Google Music gets on board. Your own music, streamed over the Internet to your phone, and beamed into your car's stereo. That's (again) nothing you can't do already, but the process can certainly be streamlined, and the prospect of controlling the app from your car's hands-free or steering wheel controls is indeed exciting. A lot of this, of course, seems like it's really just an evolution from something like GM's OnStar service. And, in fact, it is. 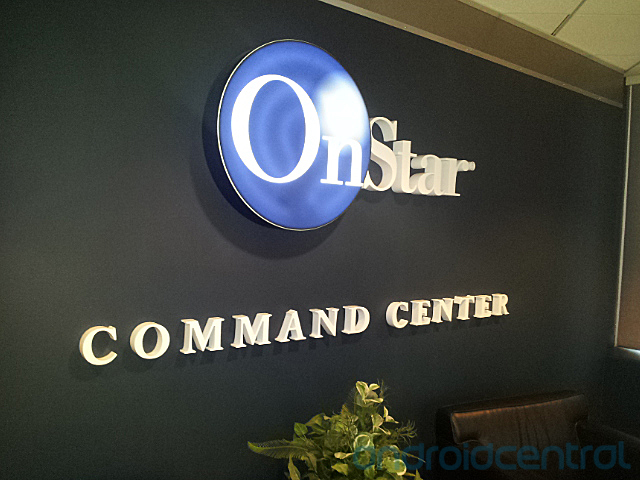 We spent a few hours at the OnStar Command Center in downtown Detroit, checking out where OnStar's been, and where it's going. At it's heart, OnStar is a help service, whether you need help finding something by asking one of OnStar's trained operators (as in, "Help me find the nearest gas station), or help finding your way somewhere via OnStar's turn-by-turn directions, be it by voice, or by your car's in-dash navigation. Or, probably it's most valuable service, help after a crash. OnStar can detect when you've been in an accident, and can summon emergency services. We've seen the Android app for OnStar a couple times now, first with the Chevy Volt, and it's since expanded to other vehicles. And at Google IO in 2010, we got a sneak preview of a new functionality introduced on the Chevy Volt -- the ability to search for directions on your phone, then send them directly to the vehicle. That's been in the works for some time, and OnStar's getting closer to rolling it out. We weren't allowed to film the latest version of the app, but it worked well enough in the demo we saw. Search from the phone, hit a button, and the results and directions are available in your vehicle. Space-age stuff. OK, not really, but it's still darn cool. Something we couldn't film (security was tight at a few of the buildings we were in) was inside of the battery testing facility. That's where they test all the batteries that go into GM cars (and specifically the battery banks that go into the likes of the Chevy Volt) in an accelerated fashion, putting them through years of abuse in a matter of a couple weeks. Environmental chambers (basically big industrial cooler/heaters like you might see in a professional kitchen) do the deed, and the tests must be monitored 24 hours a day. That's not to say there's someone in there 24 hours a day -- computers do a lot of the watching. But when there's a fault after hours, someone's got to check on things. It used to be a phone tree would find some poor sap, who'd have to drive a half hour or so at 2 a.m. just to find that a wire came loose somewhere, and things really could have waited till morning. Intern Jim Rollenhagen rightfully thought that was ridiculous. 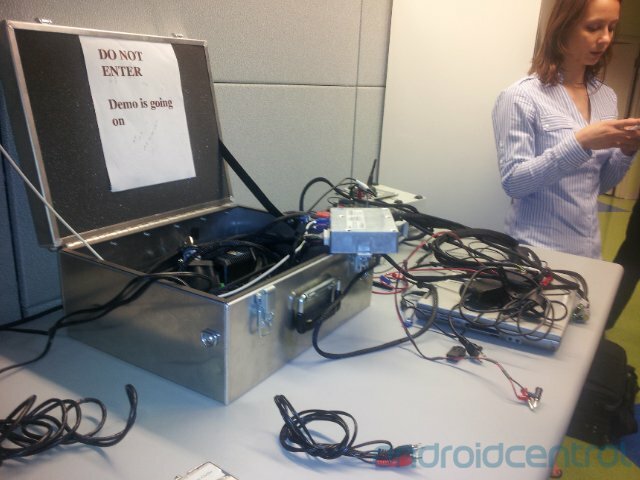 So he whipped up an Android app (and BlackBerry, too -- GM's into those things, apparently) that would let them see the test data on their phones, in real time, to see if it's a serious meltdown (we assume we were wearing eye protection for a reason), or if it's just another loose lead. Sure beats trucking in when even the crows are asleep. By the way: Young Jim got himself a job, likely in no small part to that little piece of Android ingenuity. It was a whirlwind tour at GM. 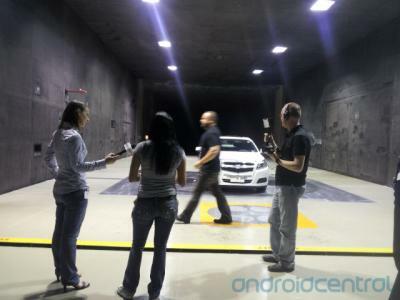 (And in un-Android-related fun stuff, we took a spin in a 2012 ZR1 (damn, that thing is fast), saw the wind tunnel, and took a look at history in GM's Heritage Center.) But the potential of what we saw was indeed exciting. The integration of smartphones with stock automobile electronics is a natural evolution, and, frankly, one we've been hoping for for quite some time. 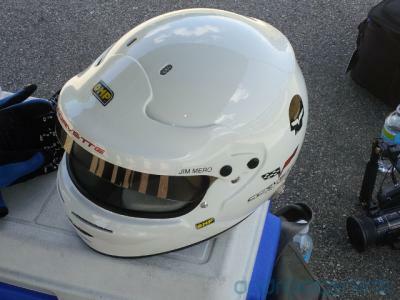 Aftermarket products are important, and they'll continue to be so. But proper integration of smartphones with OEM equipment is even more so important. And Chevy's MyLink system is a good -- and early -- example of how it can be done in a proper and compelling manner. We're not automotive journalists here (I'm just a guy with a Civic with two car seats in the back), but we know smartphones. And probably the most telling thing from our demos with MyLink was that it really just seemed too simple. Connect phone, tap on the app, and it just works with your phone. The bottom line here is we liked what we saw. We love the idea of an extensible car, with our phones serving as the extensions. You're not going to see this in the lower-end trim packages for a number of years, we'd imagine. But with the promise of more apps and an intuitive (and large) control system, we might be willing to splurge in the name of Android.